Except that a soldier at least has weapons. Thankfully, in the jungle war zone of cancer are guides, who appear in various forms: the oncologists and radiation specialists who direct your treatment, the infusion nurses who explain what will happen along the way, fellow patients and cancer survivors who can tell you their stories and really understand what you might be experiencing. They have cleared your path through the jungle. But also along that path are a variety of signposts, some helpful, some not, and it is often only in hindsight that the value of those signposts is clear. 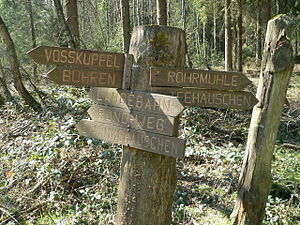 Unfortunately, some of the signs that the experts post on the jungle path point the wrong way. For example, a recent report from the Yale Cancer Center determined that between 10% and 20% of breast cancers classified as estrogen-receptor-negative might actually be positive. In an already chaotic landscape full of noise and confusion, such a misdiagnosis only heightens your fear and sense of helplessness, and can add a hefty measure of anger that you carry with you as you retreat to find the right path. At other times, a signpost might be erected only to be taken down later on. Earlier this year, the FDA revoked its approval of Avastin for patients with breast cancer, saying that it was not safe or effective. Avastin is a chemotherapy drug used to treat a variety of cancers, but according to the FDA, the risk-benefit ratio for those with breast cancer doesn’t merit use of the drug. So those who had luck in following this signpost no longer are able to, and that includes the women with triple-negative cancer who did benefit from its use. This dilemma, however, applies only to women on the jungle path in the U.S. Avastin is still approved for use in breast cancer patients in 84 other countries. Sometimes, a signpost is erected too soon and serves only to provoke anxiety. A report from the UCLA Medical Center links high levels of stress to the spread of cancer. Besides inducing more stress about stress, the additional irony is that this signpost is only for mice as yet, not humans. So too for the signposts about the effects of ACE inhibitors and beta-blockers and chondroitin sulfate. There’s something to be said for posting signs of hope along the path, as these reports do with their results. But with that hope comes the risk of disappointment when the findings of further studies serve to dismantle these signposts. On my particular path through the jungle, two signposts directed the type and frequency of my chemotherapy. At the time I underwent chemo, the largest signpost read ACT – Adriamycin, Cytoxan, and Taxol – the only chemo cocktail available for those of us with triple-negative disease. By the time I had chemotherapy, however, a new signpost had been added to this one, and it read “dose-dense therapy,” a different way of administering the drugs. Instead of receiving one large dose of drugs every 3 weeks, as is customary for many types of cancer, I received a smaller dose every week for 24 weeks. The premise of this “metronomic” dosing is that the cancer would have less of a chance to regenerate with a steadier dose of drugs and the side effects would be minimized. I followed these signposts because my guide, my oncologist, pointed me that way. In hindsight, it’s been a relief to find that these two signposts did indeed have merit. A study of Adriamycin and Cytoxan, from a group of drugs called anthracyclines, used in conjunction with a taxane drug are an effective treatment for triple-negative disease, but not for other types of breast cancer. The review noted that the combination works best in adjuvant treatment—that is, chemo after surgery (rather than before) – the approach the doctors used for me. Another study determined that dose-dense chemotherapy is most effective for hormone-negative breast cancer, with better overall and disease-free survival. These studies validated the merit of two of the signposts on my path. With a sigh of relief, I can walk a little taller on the road. Those of us affected by cancer, either directly or indirectly, will always be in the jungle because cancer and the treatments for it are always changing, always confusing, and it’s difficult to get your bearings. We note the signposts and choose the direction, our only weapons the health care workers who point the way and our own stamina and determination.